Stone-age singalong silliness with Anya, Kevin, Gary and Bonzo (formerly of The Signing Kettle) in their most roarsome adventure yet. 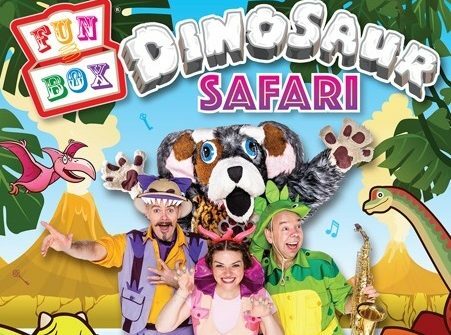 Packed with favourites like The Bear Came Over The Mountain and Eye, Nose, Cheeky, Cheeky, Chin, as well as brand new songs, DINOSAUR SAFARI is the gigantic treat for all the family. Come dressed for the safari – come as a dinosaur, an explorer or a cave person – and get ready to roar and stomp with a FUNBOX!